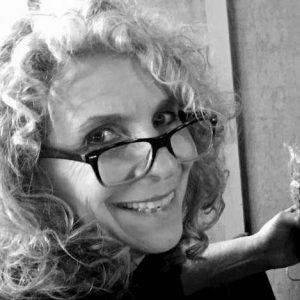 Heights Arts founding Executive Director, Peggy Spaeth will share with us works created over a 14-year span in our spotlight gallery. These paintings reveal my obsession with color and repeat patterns first inspired by American quilts. I love how geometry and color create illusion; I love that you can keep the geometry, change the color, and come up with a completely different illusion; and I am fascinated by the idea that when you change color across a design, different elements appear. Although I am best known for leading Heights Arts for thirteen years, previously I exhibited my original hand-dyed quilts locally and nationally. Simultaneously I painted designs impossible to produce in the fabric as I explored pattern. In looking back at my work of almost forty years ago, I impressed myself and decided to bring these paintings into the public eye. Proceeds from the sale of my work benefit Heights Arts and Sober Living Cleveland (SLC). SLC provides safe, affordable sober housing to those in recovery from addiction to alcohol and other drugs.